When it comes to mental health, every effort and every conversation matters. We all know of someone who has or is struggling with mental health. At times, the struggle can be evident in their day-to-day life, but it’s often hidden. It can be difficult for some people to engage in conversations about their mental health for numerous reasons, but that is the barrier we want to break. Fortunately, the GTHL and Movember Canada have taken that seriously. Together, they partnered up and reached out to players, coaches, parents and supporters within the GTHL community throughout the month of September to recognize Mental Awareness Month raise mental health awareness. The GTHL and Movember teamed up for the first time last season to launch the inaugural Babsocks fundraising initiative. Teams sold Movember-edition Babsocks to raise awareness and funds for mental health and the winning team was awarded a practice with Mike Babcock, head coach of the Toronto Maple Leafs. Playing in the GTHL is about more than just playing hockey – it’s also about your development as a young person. With more than 40,000 registered participants annually, the GTHL makes up the largest minor hockey league in the world. With that, comes the opportunity to reach out to those involved in the league on a different level and that’s an outlet that maximized to its fullest potential. Not only should we recognize and act on the gap in our society that reflects mental health, but maintaining these actions are imperative. Conversations on and off the ice have the ability to plant a seed in a young person’s life. That’s what hockey does. It creates opportunities to train, teach and talk. If we allowed hockey to just be about the performance on the ice, we would be missing out on all of the invaluable life lessons it teaches us. As with any sport, the game helps mold and shape players as they progress in both their individual and team skill sets. It teaches the players about discipline, dedication and hard work, showing them that a strong work ethic can help them in all facets of life. Hockey stirs relationships. It invokes passion. Yes, it’s a game that we love and cherish, but it can also be used a tool to lift one another up. Mental health is involved in our beloved game and it cannot be ignored. Allowing people to suffer alone is not an option. What hockey teaches us at a young age is that it is a team game. Life is the same way. It takes a combined effort to combat it and beat it. Over the past three years, the Movember Foundation has invested $2 million dollars in developing ‘sportified’ mental health programs within organized sports. These investments have enabled the Foundation to develop a specific expertise in using the power of sport to improve the mental health, wellbeing, literacy and awareness of young men. 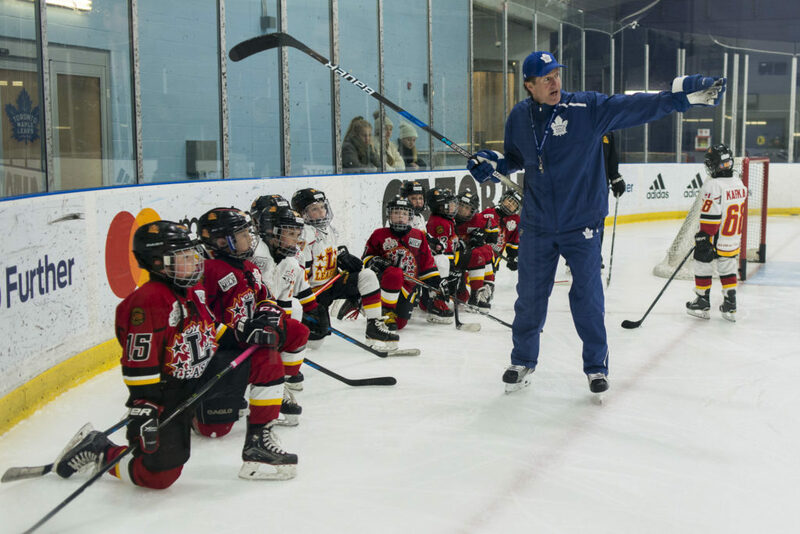 Movember has been and will continue to work closely with the GTHL to build a targeted mental fitness program across the league that focuses on young men, their coaches and parents. In 2018, GTHL teams helped to raise over $76,000 for mental health driven initiatives through the second annual Ahead of the Game campaign. For more information and resources on mental fitness, please visit GTHLCanada.com/Mental-Fitness.